I was just playing around today with this as was waiting for a Blue Jay to come along, but he never did. 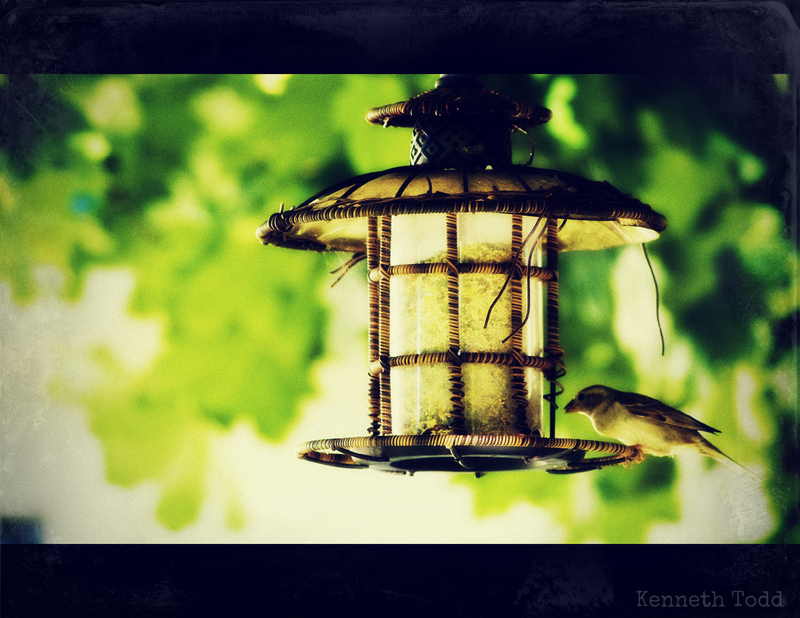 Anyway I chose this one as I like the contrast of the bird feeder and colors and it’s worn and torn look. Can I use that many “and”s in a row? Sure, why not? Beautiful image, Ken. I love the colors and contrasts.